The selection for 2010 is Secret Daughter, a Mixed-Race Daughter and the Mother Who Gave Her Away. June Cross was born in 1954 to Norman Booth, a glamorous, aspiring white actress, and James “Stump” Cross, a well-known black comedian. 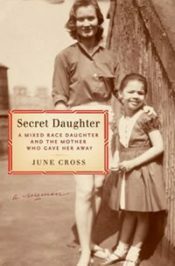 Sent by her mother to be raised by black friends when she was four years old and could no longer “pass” as white, June was plunged into the pain and confusion of a family divided by race. Secret Daughter tells her story of survival. It traces June’s astonishing discoveries about her mother and about her own fierce determination to thrive. This is an inspiring testimony to the endurance of love between mother and daughter, and between a child and her adoptive parents. It is also a moving story of the power of community. June Cross is a documentary filmmaker with thirty years of experience in both commercial and public television. She is currently in production on a documentary that examines the politics of rebuilding New Orleans. Her most recent series, This Far by Faith: African-American Spiritual Journeys, aired nationally on PBS in 2003. Prior to that, Cross worked for PBS’s Frontline and MacNeil/Lehrer NewsHour, and for CBS News. Her reporting for NewsHour on the US invasion of Grenada won the 1983 Emmy for Outstanding Coverage of a Single Breaking News Story. 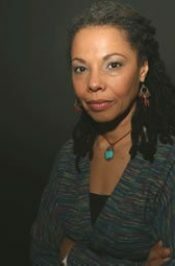 Secret Daughter, an autobiographical film that examined how race and color affected her family, won an Emmy in 1997 and was honored that same year with a DuPont-Columbia Award for Excellence in Broadcast Journalism. Cross is a 1975 graduate of Harvard University and currently teachers documentary production at the Columbia School of Journalism. She is a member of the National Association of Black Journalists, the Investigative Reporters and Editors, the Black Documentary Collective, the Council on Foreign Relations, and Phi Beta Kappa. She lives in Manhattan with her husband and two cats.